Christopher D. Southgate, Esq. is a Senior Life Sciences Patent Attorney located at the hub of the biotechnology industry on the East Coast in Kendall Square, Cambridge, Massachusetts. With more than 12 years of law firm/in-house experience, Dr. Southgate provides strategic counseling to entrepreneurs, startups, universities and established biotech companies on the procurement and protection of intellectual property in the life sciences. Dr. Southgate has extensive patent experience in the field of molecular and cellular biology including antibody technologies, stem cell therapies (iPSCs), RNA-based gene therapies, small molecule pharmaceuticals and immuno-oncology treatment modalities. Dr. Southgate is also a proven expert at evaluating freedom-to-operate and providing comprehensive patent landscape analyses to biotech companies. Most recently, Dr. Southgate was Senior Patent Counsel at Boston Biomedical, Inc., a subsidiary of Sumitomo Dainippon Pharma Global Oncology. Boston Biomedical is a pioneering company in the emerging field of cancer stemness inhibitors. In giving competent and thoughtful counsel to his clients, Dr. Southgate draws on more than 10 years of post-graduate discovery research experience at Harvard University (post-doctoral fellow), University of Massachusetts Medical School (AmFar Scholar; now HHMI), Harvard Biological Laboratories (Research Associate), Harvard Medical School (Instructor in the Dept. of Biological Chemistry & Molecular Pharmacology and Dept of Cancer Biology, Dana-Farber Cancer Institute) and at Tufts University Medical School (Assistant Professor of Medicine). His research investigated many complex biological problems including eukaryotic transcription regulation, retrovirus activation, stem cell differentiation, angiogenesis and embryonic h­ematopoiesis. This work resulted in first authored publications in major peer-reviewed scientific journals including Nature, Nature Genetics, EMBO J., Journal of Virology and Genes & Development. His research on adult stem cells also resulted in several patents assigned to The Brigham Women’s Hospital, a teaching hospital of Harvard Medical School. 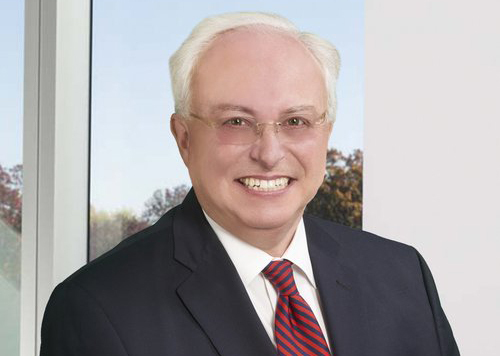 Dr. Southgate’s depth of knowledge as a research scientist combined with his legal acumen gained at well-respected IP practices in Boston and Washington DC enables him to analyze complex scientific data and prepare claims that capture the essence of the inventor’s scientific discovery. This valuable skill facilitates the prosecution of patent applications and ultimately goes a long way to obtaining issued patents both at the USPTO and worldwide. Dr. Southgate is registered to practice at the U.S. Patent and Trademark Office and admitted to practice in the state of Massachusetts and in the District of Columbia.